It took getting out of the rut to realize I'd been in one. It started with a fight about groceries, and if that leads you to think I've become boring in my late 20s, well, that is a notion I cannot in good conscience disabuse you of. Alex and I had recently moved in together, the first time I'd ever lived with a partner, and for a while it was all sorts of blissful. We watched an unbelievable amount of Netflix, patted ourselves on the back for dividing up chores equitably, and settled in for a long haul in which I will never have to clean the bathroom and he will never have to vacuum. But when it came to food, all was not equal. Groceries only ever existed in our apartment if I bought them — and that began to grate on me. As an enthusiastic proselytizer for the "Bring Your Lunch to Work" cohort, I am used to going to the grocery store fairly regularly. While some might find it boring to stock up on the basics, to me, it's fun! Milk, yogurt, hummus, veggies, chips, cheese, popsicles (what, that's not always on your grocery list? ), and of course, meal building blocks. If you keep a big bag of spinach (or kale, its longer-lasting cousin) in your fridge with some ground beef or chicken thighs, various sauces and grains in your cabinet, then you can easily whip up a weeknight dinner without any advance planning. But the whole going-to-the-grocery-store part that allows that to happen? Alex just didn't do it. He would stop at a bodega on the way home from work and pick up sour straws for himself ... but replacing the milk he'd finished the night before? Forget it. Unlike me, he could peer into our fridge and be delighted by contents that had somehow magically materialized there, thanks to magical elves. No — thanks to me! Like any mature adult, I waited until I was good and pissed off to explode. "YOU NEVER BUY GROCERIES!" I yelled, probably. He was surprised, understandably. But his solution came out of left field. "Can I sign us up for a meal-kit delivery service?" he asked. I had to think about it. It felt like cheating somehow. It was circumventing the problem by throwing money at it. Sure, it would help us share the weeknight dinner burden, but it still didn't involve him going to the grocery store. Well, it's his money, I thought. If this dummy wants to spend two or three times more on pre-packaged portions of ingredients that are available for far less at Foodtown, let him do it. I'll go laughing all the way to the bank. Friends, I did not go laughing all the way to the bank. Instead, I fell in love with Blue Apron. It wasn't love at first sight. It was more like falling in love with the annoying guy who wears you down until you realize he's been right in front of you the whole time. The first day, when a big bulky package arrived at our doorstep, all I could think about was the preposterous amount of plastic it contained. But there turned out to be detailed recycling instructions inside, as well as a host of surprising treasures. 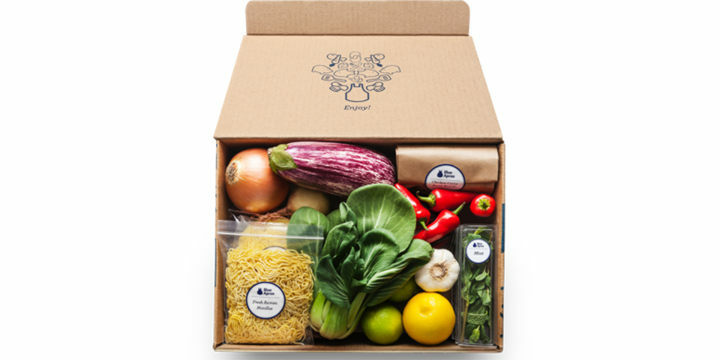 Blue Apron, HelloFresh, more: Which meal delivery service is for you? Over the next few weeks, Blue Apron brought us little packets of thoughtfully sourced honey and tahini, unusual peppers and pickles, shockingly good tortillas and fluffy, pliant naans and pitas. And the recipes! They were good! I thought of myself as an adventurous cook, but was I making my own ramen bowls with soft-boiled eggs and furikake on a Tuesday? No, I was definitely not. It took getting out of my own food rut to realize I'd been in one. The unexpected bonus revealed itself more slowly: Alex came out of his cooking cocoon like a beautiful — and very hungry — butterfly. 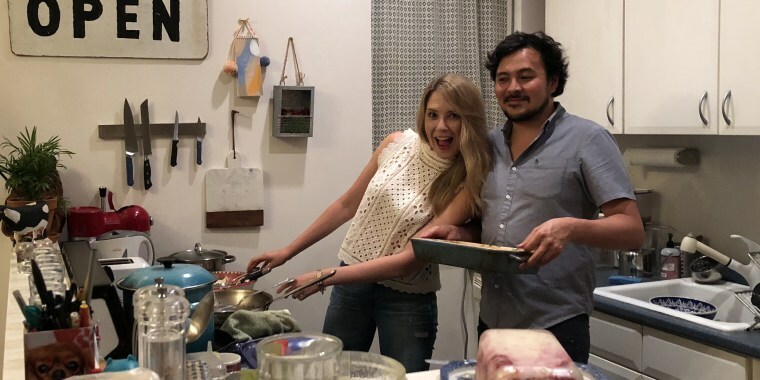 I hadn't realized how intimidating it can be for someone who isn't very experienced in the kitchen to cook with someone who's winging it (butterfly joke alert!). Alex came out of his cooking cocoon like a beautiful hungry butterfly. While I tended to look at the Blue Apron recipes as jumping-off points, templates to turbo-charge, to him, they were the Bible. I'd throw an extra zucchini into a bulgogi bowl that seemed a little skimpy on the veggies, or stir some mascarpone into a gnocchi dish that begged for creaminess. That's the kind of cooking confidence that totally flustered Alex when we first started dating. His signature dish at the time was avocado goat cheese dip with balsamic vinegar — an interesting combination to say the least. He was always asking me how I knew I was adding the right amount of something without measuring it. So he was comforted by the Blue Apron recipes, which are detailed and easy to follow. When it says "add a tablespoon of olive oil to the saute pan," he actually measured out the tablespoon of oil. And instead of cringing, I busied myself with the more involved steps of the recipes. For example, I learned what "fond" is. The folks at Blue Apron are huge fans of fond. (For those of you who aren't Martha Stewart, fond refers to the browned bits of flavor that are left over in the pan after cooking meat or vegetables.) Almost every recipe tells you to leave the fond in the pan. I'm on the fond train now, I can say unequivocally. That isn't to say I think that all of the Blue Apron recipes are perfect. Many of them call for all sorts of unnecessary steps, actually. A recent side dish of miso mashed potatoes asked me to peel the potatoes before cooking them. No. And the prep work strategy is also silly sometimes. They will tell you to chop some bok choy, put it in a bowl, and five minutes later put it in a pan when you could've just put it in the pan in the first place and not dirtied the bowl. If you follow the company's recipes to a T, the cleanup can be atrocious given that all you get is two perfectly-portioned meals with no leftovers. So, feel free to ignore those pesky steps. But my proudest moments are when Alex follows my lead. The other day, I was shaping burger patties while he was working on sweet potato fries. The recipe said to peel the sweet potatoes. Groceries? I hardly remember ye. "Do I have to do that?" he asked tentatively, and my heart swelled with pride. Why on earth would you peel sweet potatoes for sweet potato fries? This instruction still keeps me up at night. Potato skins are tasty and I think I read on the internet one time that they are the most nutritious part of the potato. Who cares if it's true? At least keep those skins on for texture! Listen. Was I ever actually going to leave him at the bodega, doomed to a life of sour straws and scurvy without me? Of course not. I’m a deeply lucky gal (did I mention he cleans the bathroom? ), and now I can appreciate that even more with the planning and shopping that go into a couple of dinners a week taken off my proverbial plate. These days, Alex has been empowered enough to squirt olive oil right into the pan without measuring it. He knows that when a recipe tells him to cut the stems off broccoli florets, he can, in fact, leave them on. And on any given Wednesday, you'll find us in the kitchen, drinking out of the same glass of wine while tackling different steps of a Blue Apron recipe for za’atar-spiced beef pitas or citrusy pork tostadas. And we move around each other doing that special dance where you don't stab your sous chef, slicing, dicing and, yes, arguing — often it's just about who's taking up too much space on the cutting board we must share. But groceries? I hardly remember ye. 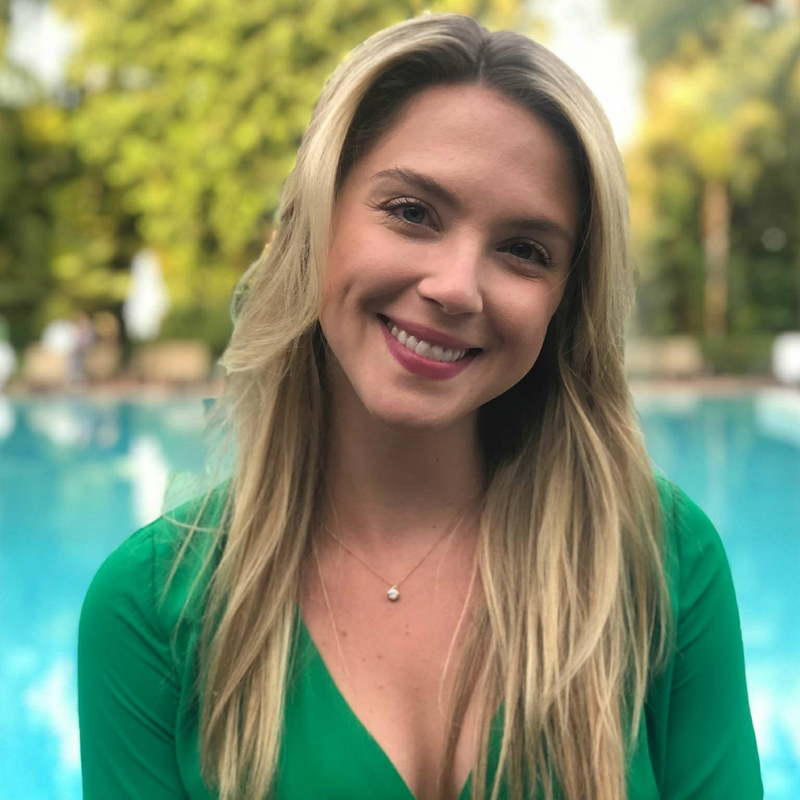 Emily Gerard is a writer at the TODAY show, by way of ABC’s Nightline and Vanity Fair magazine. She lives in Brooklyn where she entertains frequently. Her favorite dinner guests are dogs and you can find bountiful proof on her Instagram.